Size 8 1/2″ tall; 2 11/16″ bottom dia. 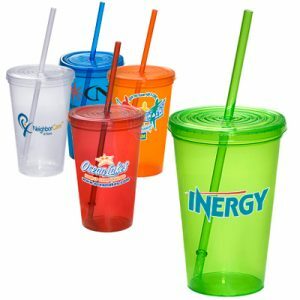 Recipients will want to keep this tumbler for years to come. 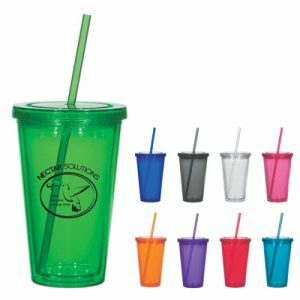 This promotional tumble features a chrome design with a san-acrylic liner to make sure hot liquid stays hot for hours. 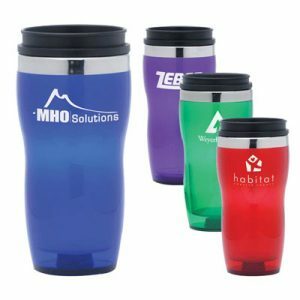 The durable double-wall construction also means that this tumbler mug will withstand even the tallest of drops. Looking to stay focused on driving your vehicle? 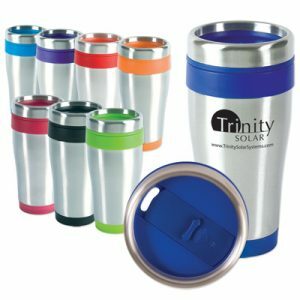 The shimmering tumbler mug is designed in such a way as to fit in all beverage holders, especially those found in cars and other vehicles. And with the included no-spill lid design, no liquids will be ruining that new floor mat. 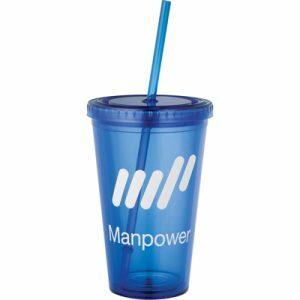 This promotional tumbler isn’t just good for coffee- throw in some ice and keep your beverage ice cool for the whole day, making it a perfect giveaway item for summer. 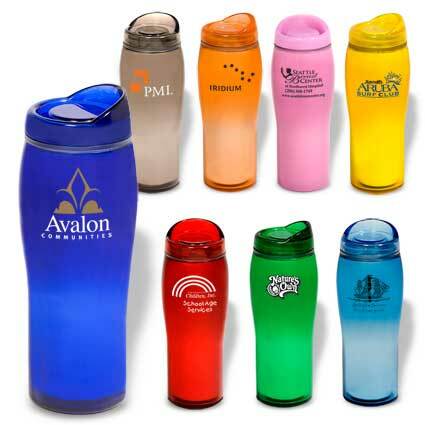 Comes in 8 vibrant color options, choose the perfect color to match your brand or logo design!